Upset pick of the week: St. Louis Rams (+6.5) at New York Giants. The home stretch will feature Philadelphia @ St. Louis, Oakland @ Denver, New England @ Miami, Indianapolis @ Houston, and as always, a mention of the Andrew Luck Sweepstakes. 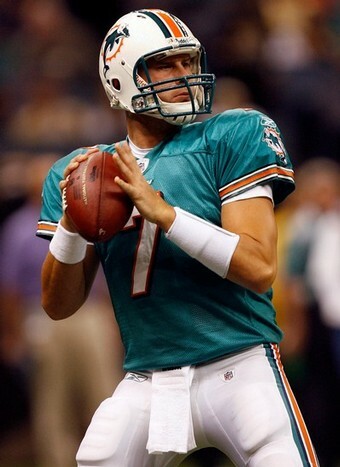 I was optimistic about Henne before the season began; now I’m uber-optimistic. In light of Bill Barnwell’s observation on how his career arc matches that of Drew Brees, I’ve grown accustomed to calling him Drew Brees Jr. (or DBJ, for short). Take out the lone interception which came on the last play of a 14 point game and he had 475 yards, 3 TD, and no turnovers against the Super Bowl favorites. Relying exclusively on the 5 guys who would most likely be in the game on a Singleback 3 WR formation, DBJ completed 66% of his passes for over 400 yards. And it’s not as if the next 2 weeks (Houston and Cleveland) will be any more taxing on their passing game. Not worried about: Daniel Thomas. Reggie Bush had a few good looking runs, but he was involved in just as many passing plays as rushing plays; and from what we heard in the pre-season, the Dolphins want Thomas to be their primary ball carrier. I’m hoping he gets on the field before too long, but I’m not yet concerned that they’re playing it safe with the banged up rookie, and I’m optimistic that they’ll be operating in a lot of 2-back sets. However, this IS the franchise that brought the Wildcat to the NFL, and now that they have one of the greatest “gadget” guys in the NFL, there’s no telling what they’ll do. Definitely worried about: The secondary. Even against one of the best quarterbacks in the game, that is a more than slightly alarming amount of passing yards to allow. Of course, the secondary may have been in better shape if the front 4 had gotten pressure on Brady on an even remotely regular basis. Depending on which stats you consider to be indicative of a successful defense, the Dolphins were anywhere between the 7th and 14th best defense in 2010, but they absolutely looked like the worst defense in the league on Monday night. Aside from the Law-Firm’s short TD run on the Pats first drive of the game, Woodhead doubled Green-Ellis’ production over the course of the game; and it’s not as if he did it during garbage time, as he was heavily involved in the ground game from the beginning. In fact, after that first scoring drive, Green-Ellis was invisible for the rest of the first half, as Woodhead received the next 8 carries prior to halftime. And the best cause for Woodhead optimism is that he looked like a crucial cog in the offense without even being involved in the passing game (1 reception for 6 yards), which was really his X-Factor-ness last year. Green-Ellis will obviously be the goal line guy and will still get a strong percentage of the “normal” carries, but I would guess that, even if both guys stay healthy for all 16 games, Woodhead will finish the season with 500 more rushing + receiving yards than Green-Ellis. Not worried about: The Defense. The Chad Henne yardage seems a bit out of whack, but the Patriots have held their opponents to fewer than 20 points per game in each of the past 5 seasons. One of the guys in my league spent $20 on Ochocinco on draft day. At the time, I wasn’t sure whether it was a great decision or a horrible one, but I knew it wasn’t going to be anywhere in between. Eight Five was barely even on the field on Monday night, let alone benefitting from Brady’s 517 yard passing night. I think he still has a year or two left in his tank, but I don’t think Belichick has any interest in forcing him into an offensive scheme that’s been working just fine without him. The Eagles didn’t have any true goal line plays on Sunday, but Ronnie Brown came trotting onto the field on the two occasions that they had the ball inside the Rams 10 yard line, so I’m still concerned that he won’t get as many of the Eagles’ rushing touchdowns as he should. That being said, Shady started the game off with 7 carries for just 10 yards in the first half and still wound up having a great game despite not being as involved in the passing game as he normally will be. Aside from Ray Rice, McCoy is the only RB taken in the first round of most fantasy drafts that you’re not at least a little bit worried about after opening weekend. Not worried about: Jeremy Maclin. 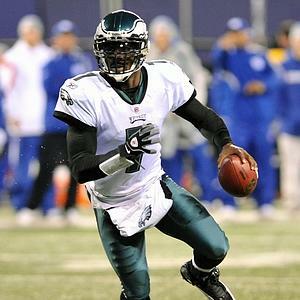 Due to his mystery illness, he got even less training camp time with Vick than most of the other Eagle receivers, so I’m thinking that the single-catch day is just a sign of mistiming/miscommunication down the field as opposed to a sign that Jason Avant is actually going to get more looks than Maclin. Definitely worried about: Vick’s endurance. I preach about the idiocy of worrying about injury risks more than anyone, but there’s just no chance that he survives 16 games if he keeps rushing the ball 11 times per game and taking 11 hits per game. His ability to get out of the pocket and keep plays alive while still making accurate throws is what makes him an elite quarterback. His willingness to take off down the field every time he sees a sliver of light is what makes him a permanent injury risk. A couple of runs here and there is no big deal, but in the early going, he’s relying too much on his legs, and it’ll only be a matter of time before a defense better than the Rams makes him pay for it. By the start of the 4th quarter, it was becoming evident that Amendola was Bradford’s #1 target and that Gibson was in a distant 2nd. By the end of the 4th quarter, Amendola had suffered an 8-10 week injury, and Gibson became the immediate benefactor of his yards and targets. I still believe Mike Sims-Walker will play a significant role in this Rams pass attack, and if Spagnuolo’s word means anything, they’re committed to getting Greg Salas involved as well. Nevertheless, Gibson should get the most balls thrown his way for the next two months, with immediate dividends being paid this Monday against an atrocious Giants secondary. 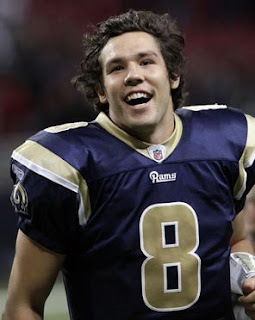 Not worried about: Sam Bradford. He took a lot of abuse against an aggressive and physical Eagles defense, but I’m neither worried about the finger injury nor the fact that he’ll bounce right back this week against the Giants. He’s still going to struggle at times, especially in upcoming games against Baltimore, Green Bay, and New Orleans, but his opening week mediocre performance doesn’t change the fact that you’ll want him on your roster in weeks 9-14 when he faces Arizona (twice), Seattle (twice), San Francisco, and Cleveland. Definitely worried about: Steven Jackson. Not surprisingly, there were an absurd number of Achilles, calf, and hamstring injuries on opening weekend, but aside from the one Foster suffered in the pre-season, this is the leg injury causing the most concern in fantasy circles. He’s always been one of those “if only he could stay healthy” running backs. 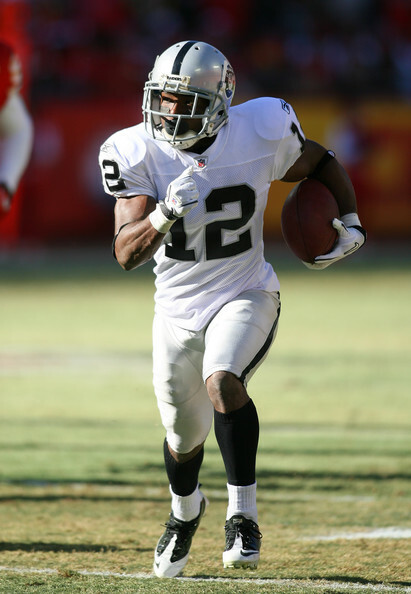 Remember in 2006 when he had 2334 rushing + receiving yards and 16 touchdowns? The talent is obviously there, but unfortunately you don’t get fantasy points for miles on the exercise bike. I’d be lying if I said I thought in the pre-season that he might have a repeat of last season in him, but having watched him accrue more targets, receptions, and yards than any other Bronco, he has my attention. In retrospect, I’m not entirely sure why I was down on Lloyd; Denver can’t run the ball, their starting tight end was barely able to make an impact in St. Louis for the past two seasons, and Eddie Royal has been letting everyone down in extraordinary fashion for the past two seasons. Without Lloyd, I have no idea what the Broncos would do. Not worried about: Losing to the idiot in your league who picked up Eric Decker. It inevitably happened: someone in your league picked up Decker, someone in your league picked up Randall Cobb, and someone in your league probably picked up Scott Chandler. Trust me, none of these guys is the next Miles Austin. The best case scenario is that he winds up being a poor man’s Ed McCaffrey; he’s even wearing his number and everything. While McCaffrey may have been an inspiration for us white boys around the country, he only really had one or two notable fantasy football seasons, so do you really want the impoverished version of 47 catches, 619 yards, and 4.5 touchdowns? Because those were McCaffrey’s career averages. 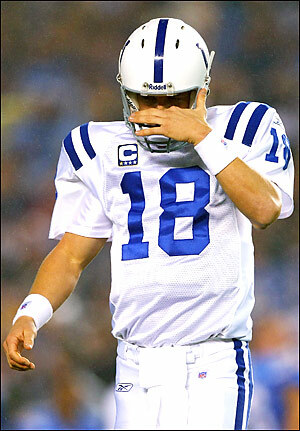 And Kyle Orton sure ain’t John Elway. 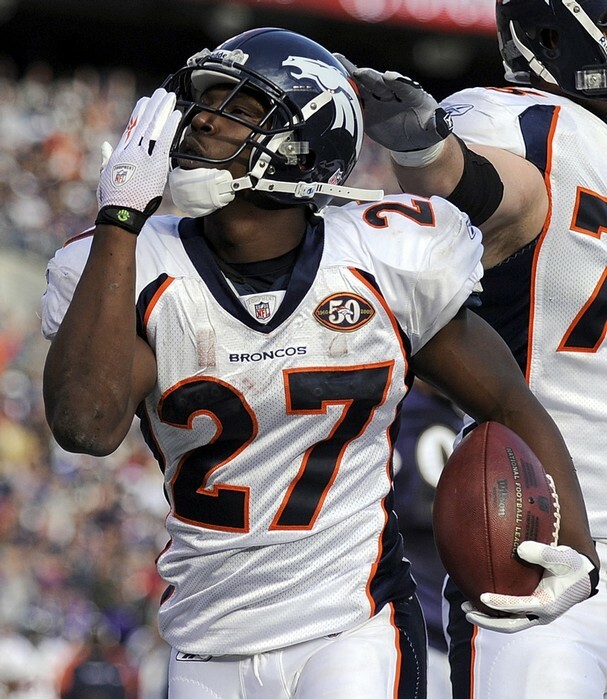 Definitely worried about: Knowshon Moreno. 2.8 yards per carry against the 4th worst rushing defense in 2010. Every now and then, the numbers speak for themselves. Factor in that he was involved in the same numbers of plays as McGahee (11 carries + targets), and we’re looking at maybe the 35th best running back in a 32 team league. Further factor in the hamstring injury, and now we’re looking at a running back who should be owned in about 85% fewer leagues than he is currently owned in. But if you have him, you paid too much for him and you can’t afford to drop him, because then you would really feel obligated to play Darren Sproles and Brandon Jacobs every week, so good luck with that. I feel like it isn’t all that often that wide receivers get converted to fullbacks, but considering he was strictly a pass catcher until the age of 23, Reece has evolved into a solid run blocker who can also make acrobatic catches out of the backfield. I’m optimistic about his career as a fullback, but I’m really just writing this section to remind you that he’s a fullback who averages around 3.5 touches per game, and to let you know that you’d be borderline mentally challenged to have him on your fantasy roster. Pardon my vulgar letters, but how the F is this guy owned in 1.4% of leagues?! He’s owned in more leagues than Darrius Heyward-Bey, Arrelious Benn, Jason Hill, Javon Ringer, and Isaac Redman; the latter two of which should be owned by at least 75% of Chris Johnson/Rashard Mendenhall owners. Blows my mind. Not worried about: Jason Campbell. The numbers were pathetic, but he didn’t make any horrible decisions, he didn’t take any vicious hits, and he’s still working with the same playbook as last year for the first time since he was 4 years old. You’re not even considering starting him until bye weeks, but thus far, you shouldn’t be considering dropping him until after your primary QB’s bye week either. Definitely worried about: Jacoby Ford. It was pretty obvious in the early going that the Raiders’ game plan was to let Jacoby Ford have his way with the Broncos tacklers, but after a fumble on the first offensive play of the game and a hamstring injury shortly thereafter, it wouldn’t surprise me if he’s fallen out of the coaching staff’s good graces, even if he’s able to be back on the field as early as this Sunday. The silver lining for Ford is that the next best options in Oakland are Louis Murphy and Chaz Schilens, so he should have plenty of opportunities to prove himself. Unfortunately, hamstring injuries on speedsters are about as promising as seeing “Dr. James Andrews” in a pitcher’s injury report. He should have a productive career, but I’m already beginning to think that his breakout season won’t come until 2012. Speaking of breakout seasons! Jacoby Jones has been in the league for 4+ years, and he has been my fantasy kryptonite in damn near every one of them. He’s so fast and it’s so obvious to everyone other than Gary Kubiak that Kevin Walter will never be a sufficient second fiddle to Andre Johnson. His punt return TD put the finishing touches on a 34 point first half for the Texans, and he made receptions on all 3 of his targets for 43 yards. Every time I look at his stats, I feel like Fox Mulder sitting in front of an “I Want To Believe” poster. Not worried about: Owen Daniels. This game was over before it started, so I’m none too concerned about the fact that Daniels received just 2 of the 13 balls that Schaub didn’t throw in Andre Johnson’s direction. Whether it’s Walter or Jones at the #2 WR slot, I think we all know that Daniels is actually Schaub’s #2 target. Look for his fantasy value to be resurrected this week against a hapless Dolphins team that allowed Brady to hook up with his tight ends 13 times for 189 yards and 2 TD. 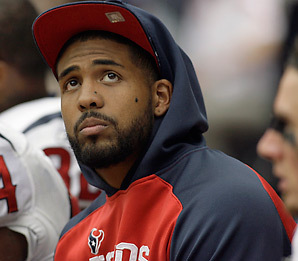 Definitely worried about: Arian Foster. As much as I’m frightened by it, this has nothing to do with the hamstring injury. Ben Tate was a monster on Sunday, and not since (wait for this one) Double D Domanick Davis from 2003-2005 have the Texans relied on a running back to get even 40% of the team’s carries in consecutive seasons. They’ve gone from Davis to Ron Dayne to Wali Lundy to Ahman Green to Steve Slaton to Ryan Moats to Arian Foster to Ben Tate. Gary Kubiak is a honey badger when it comes to caring who is in his backfield, and if Foster doesn’t come back with a vengeance this coming Sunday, he’ll likely become the biggest not-exactly-injury-related fantasy bust of the season. When I decided in mid-August to keep Foster for $26 and Mike Tolbert for $2, I was expecting a solid running back and a bye week fill-in. Looks like it might have worked, but not exactly how it was scripted. The Colts season is going to hell in a hand basket, but it looks like we’ll still be able to count on Reggie Wayne being a slightly more aged version of the Reggie Wayne we’ve come to know and love. Kerry Collins hasn’t exactly been a reliable QB since he left Penn State in 1994, but he’s still got a respectable arm, and he’s a wily enough veteran to know that Wayne is by and large his best chance for success on any given passing play. So long as it isn’t Curtis Painter behind center, take comfort in deploying Wayne as you normally would. Not worried about: Dallas Clark. When you have a Hall of Fame caliber quarterback, the debate is always whether he made the receivers or if the receivers made him. Joe Montana rode Jerry Rice’s coattails to the honor of most overrated quarterback of all time. 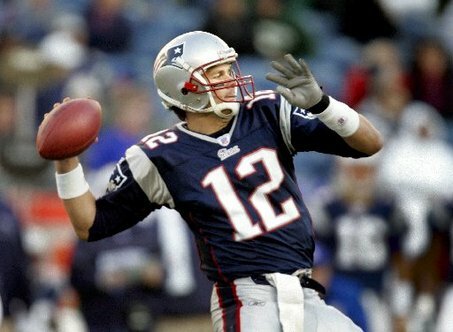 Dan Marino racked up the most yards in NFL history despite never throwing a ball in the direction of a household name. There’s minimal debate that Peyton Manning is one of the best quarterbacks that my generation will ever see, but is Dallas Clark still a top 5 tight end with or without him? I’m in the camp that believes he’s still a premier guy, and also in the camp that remembers how heavily Collins has relied upon his tight ends over the course of his career. As is the case with Wayne, so long as there aren’t any Painter sightings, you’re still starting Clark in all formats. Definitely worried about: The Colts. They’re not going to get blown out of the water every week, but they’re going to finish 3rd in the AFC South, and that’s assuming Jacksonville never figures out its QB situation. The offensive line is full of holes, and not the kind that Joseph Addai could possibly take advantage of; the defensive line is full of the kind of holes that any running back could take advantage of; and we’re still not entirely sure if Jim Caldwell is human or mannequin. It’s no surprise that Manning has a bulging disk in his neck, because he’s been single-handedly carrying this team since Edgerrin James left town in 2006. The good news is, if Manning sits out the entire season, there’s an outside chance the Colts will play their way into the Andrew Luck Sweepstakes.